Amir joined Watsi on December 23rd, 2015. Three years ago, Amir became the 1692nd member to automatically support a new Watsi patient every month. Since then, 3,394 more people have become monthly donors! 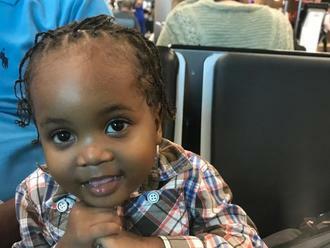 Amir's most recent donation supported Bedens, a baby from Haiti, to fund prep for cardiac surgery. Amir has funded healthcare for 40 patients in 13 countries. 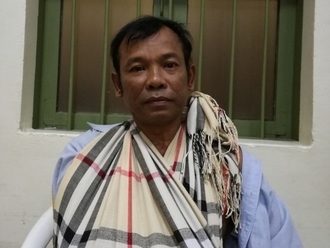 Vey is a 52-year-old musical instrument player from Cambodia. He likes listening to the radio and really enjoys looking after his vegetable garden. Last October, Vey suffered from a motorcycle accident leaving his right arm and leg severely injured. He has been diagnosed with a brachial plexus injury on his right side. The brachial plexus is a nerve network that transmits signals from the spine to the shoulder, arm, and hand. Injuries to this nerve network can result in loss of function and sensation. He is regaining movement in his arm, but he is still unable to walk and carry on with his work. Vey traveled to our medical partner's care center to receive treatment. On February 18, he will undergo a brachial plexus repair surgery. This surgery will help him to regain movement in his leg, allowing for him to go back to work. Our medical partner, Children's Surgical Centre, is requesting $637 to fund this procedure. He says, "After surgery, I hope that I can go back to work and carry on without any pain." 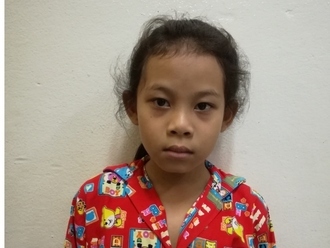 Rida is a girl from Cambodia. She has one brother and one sister. She likes to play with friends, watch TV, and go for walks with her family. She wants to be a banker when she grows up. Rida was born with scoliosis, which is progressing with age, making it difficult to sit in school for long periods, and causing a lot of discomfort. Surgery can help correct the position of her spine, and prevent further worsening of the condition. Spinal surgery is scheduled for January 21 and will cost $1,500. Her mother says, "I hope my daughter feels better after the operation and does not have any more difficulty sleeping." Ei is a 35-year-old woman from Thailand. She lives with her husband in Mae Taung Village, Mae Sot District, Tak Province. She is a homemaker and her husband works at a construction site and on his landlord’s farm. Since 2013, Ei has been experiencing pain in her pelvic area as well as in her back. She has been diagnosed with endometriosis. She has been advised to undergo a total abdominal hysterectomy, the surgical removal of her uterus and cervix. If left untreated, Ei's symptoms will continue to worsen and put her at risk for further health complications in the future. Fortunately, Ei is scheduled to undergo her hysterectomy on November 22. Our medical partner, Burma Children Medical Fund, is requesting $1,500 to cover the total cost of her procedure and care. Ei says, “Without money it is impossible to receive treatment and there is no opportunity to get a job easily." Marc is a teenager from Haiti. Marc lives in Port-au-Prince with his father, who is a plumber, and his mother, who works in a bakery. He enjoys going to school and listening to soccer games on the radio. Marc has a condition called rheumatic heart disease, in which an infection severely damaged one of the valves of his heart, preventing it from adequately circulating blood to his body. This condition leads to fatigue and weakness and could eventually be fatal. Marc will fly to India to receive treatment. On September 21, he will undergo cardiac surgery. During surgery, his damaged valve will be removed and an artificial valve will be implanted in its place. Marc's family needs help to fund the costs of surgery prep. The $1,500 bill covers labs, medicines, and checkup and followup appointments. It also supports passport obtainment and the social workers from our medical partner, Haiti Cardiac Alliance, who will accompany his family overseas. Marc says, "I would like to say thank you to everyone who is helping to fix my heart problem and make me healthy." Ly is a father of eight from Cambodia. He is a tuk tuk driver. He has two sons and six daughters. He likes to watch TV and play football with friends. One year ago, Ly had an ear infection. This infection caused the tympanic membrane, or the ear drum, in his left ear to perforate. For this reason, Ly experiences ear discharge, pain, and tinnitus. He cannot hear well and is in pain. Ly traveled to our medical partner's care center to receive treatment. On August 6, he will undergo a myringoplasty procedure in his left ear. During this procedure, surgeons will close the perforation. Our medical partner, Children's Surgical Centre, is requesting $423 to fund this procedure. This covers medications, supplies, and inpatient care. His wife says, "I am worried about my husband's hearing and ear pain. We hope for a successful surgery." Saw Phar is a 50-year-old man from Burma. He lives with his family. They grow food for subsistence on communal land. In his free time, he likes to do handy work, making hats and baskets with bamboo. Saw Phar was diagnosed with a bile duct stone and a gallstone. He experiences back and abdominal pain. Saw Phar has been advised to undergo a biliary obstruction repair, a procedure to repair the blockage of the bile ducts, which carry bile from the liver to the gallbladder. If left untreated, Saw Phar's symptoms will continue to worsen and put him at risk for further health complications in the future. 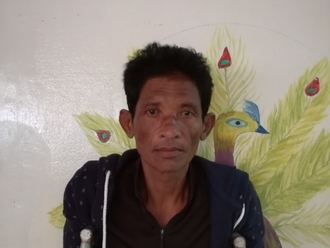 After seeking treatment through our medical partner, Burma Children Medical Fund (BCMF), Saw Phar is scheduled to undergo his biliary obstruction repair on July 12. BCMF is requesting $1,500 to cover the total cost of Saw Phar's procedure and care. 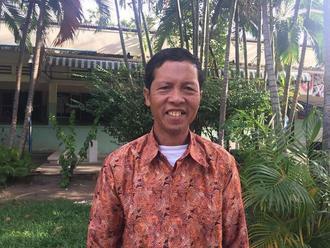 “I really miss home, but when I go back I will go back with happiness and without pain,” said Saw Phar. 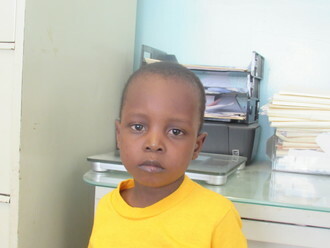 Ricardo is a three-year-old boy from Haiti. He lives in an orphanage in Port-au-Prince. He has many friends and enjoys playing with them and drawing cartoons. Ricardo was born with a cardiac condition called tricuspid atresia, in which one of the four valves of his heart is missing. As a result, blood cannot flow normally through his heart and into his body, leading to heart failure. Ricardo will fly to Akron Children's Hospital to receive treatment. On June 18, he will undergo cardiac surgery. During surgery, doctors will create a new pathway for blood to flow around the missing valve. Akron Children's Hospital is contributing $25,000 to pay for surgery. Ricardo's family also needs help to fund the costs of surgery prep. The $1,500 bill covers labs, medicines, and checkup and followup appointments. It also supports passport obtainment and the social workers from our medical partner, Haiti Cardiac Alliance, who will accompany Ricardo's family overseas. James is a baby from Kenya. 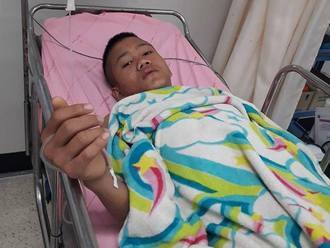 He has been diagnosed with hydrocephalus, a condition in which excess cerebrospinal fluid accumulates in the brain and increases intracranial pressure. As a result of his condition, James has been experiencing a rapidly increasing head circumference. Without treatment, James will experience severe physical and developmental delays. Our medical partner, African Mission Healthcare Foundation, is requesting $685 to cover the cost of surgery for James that will treat his hydrocephalus. The procedure is scheduled to take place on April 23 and will drain the excess fluid from James's brain. This will reduce intracranial pressure and greatly improve his quality of life. With proper treatment, James will hopefully develop into a strong, healthy young boy. “I was in shock to learn that James had this condition. I am optimistic though that he will get better on treatment,” shares James’s mother.